Have you ever wondered if there is male menopause? Menopause is a condition that occurs in the case of women around the age of 50. 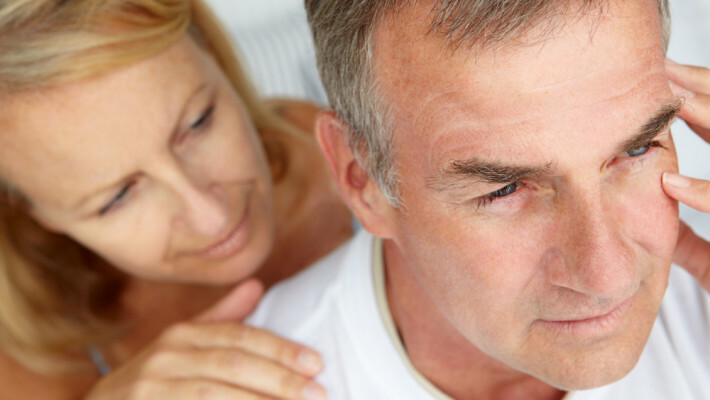 Although it is not well known, male menopause is real. The difference between women’s and men’s menopause is that in the case of men it is developed gradually, starting at the age of 30, while in the case of women it happens suddenly. Menopause is a condition characterised by the sudden pause of production of female hormones and is related to a number of unpleasant symptoms and in many cases serious health risks. On the contrary andropause is a condition in which the male hormone levels, namely testosterone, drop gradually. Doctors referring to andropause often call it “testosterone deficiency” as this hormone controls sexual drive and libido as well as fertility. Erectile dysfunction, lack of sexual drive and infertility are problems closely related to testosterone deficiency. Men can experience these problems regardless their age. Although testosterone levels start to decrease at the age of 30 it is more noticeable from the age of 40 when the levels drop around 1% per year. In general, testosterone levels below 200 ng/dl are considered low. Andropause is treatable and the most common therapy is the testosterone replacement therapy (TRT). This therapy replaces the testosterone hormone with supplements and improves sexual drive, sexual satisfaction as well as erectile dysfunction problems caused by testosterone deficiency. Moreover, it is a safe and easy to follow treatment. If you experience the above symptoms it is important to consult an andrologist and discuss the problem before proceeding to the treatment.